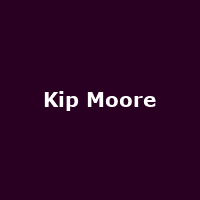 "Singer-songwriter Kip Moore explored his own experiences of growing up in a small Georgia town and working diligently for years to achieve his musical dreams to create his MCA Nashville debut album, Up All Night. The album, which become the best-selling debut by a US male in 2012 and 2013, successfully captures those unforgettable coming-of-age moments, especially for those longing for a life beyond a small town's borders, as well as the roller coaster of love and heartbreak at any age. He delivers these honest and deeply personal lyrics with a gravelly voice weathered by life's detours and disappointments and strengthened by his dreams and unyielding determination."